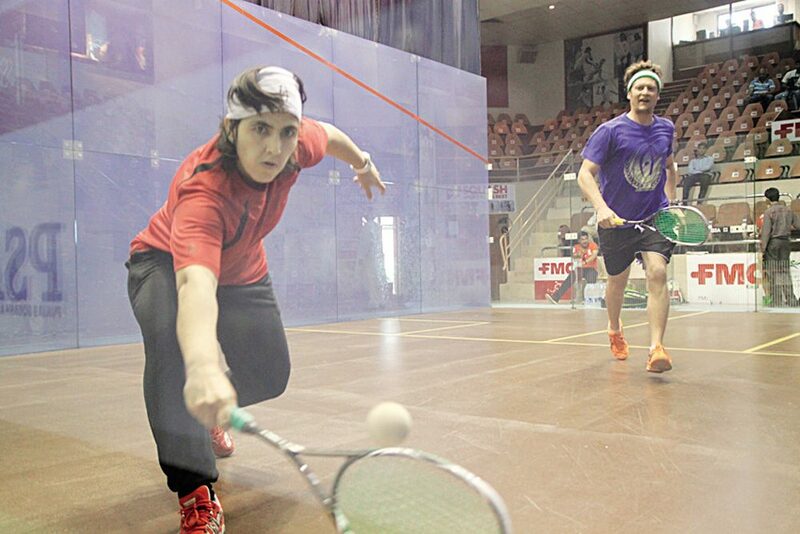 Maria Toorpakai is the top-ranked female squash player in Pakistan. Toorpakai is coached by retired Canadian squash star Jonathon Power, pictured here. WBUR’s Only a Game is great at searching out fascinating sports stories that few media channels cover. Here is one about a female squash player bucking the odds in a conservative part of Pakistan, where girls just don’t do this kind of thing. Karen Given reports, “There are places in this world where games aren’t just games and where sports heroes have the power to be more than just pixels on a television screen. “One of those places is Waziristan, part of Pakistan’s tribal region. That’s where Maria Toorpakai grew up. Her sport was squash, and her hero was Jonathan Power — a Canadian who, in 1999, became the first North American squash player to become No. 1 in the world. “From an early age, Toorpakai wasn’t like the other girls. “Toorpakai’s father allowed her to masquerade as a boy and play sports. But when she discovered squash at the age of 12, the family’s secret began to unravel. I really recommend becoming familiar with WBUR’s Only a Game, here. It’s syndicated nationally, and non-sports fans love it as much as sports fans. Longtime host Bill Littlefield is an unusual sports maven. An English professor, he covers football but especially how it hurts athletes, and he has instituted an approach to interviews (like Toorpakai’s) in which a talented interviewer (like Karen Givens) asks probing questions that enable interviewees to tell their own story. The interviewer’s voice doesn’t appear. I love this idea. It sounds so natural.